All of our alarm systems meet or exceed the state's interpretations and minimum industry standards of durable professional security alarm systems. At DB Systems, we do not use one single brand, or packaged kit systems. Hackers may find predictable vulnerabilities perhaps by brand recognition, or even a very common setup as an oportunity where they can then make attempts to circumvent a system. We use many different brands of components and services to build individual solutions per the specific need. Each system is uniquely designed and custom installed. Also, we can provide a professional assessment of particular issues and/or risks to determine the best use of burglar, surveillance, access control, smoke, gas, temperature, water and other condition or detection capabilities independently or in combination, to suit the need. 24 hour professional system monitoring services, compatible with many types of systems and signaling methods. See our Central Station page for more information on our comprehensive U.L. Listed Central Station Monitoring features. We are licensed by the Massachusetts Department of Electrical Examiners and the Office of Public Safety to install or service any level or type of security system. DB Systems holds a MA DPS "S" license, a MA electrical level "C" license, and lead technicians a electrical level "D" license. The owner is a graduate of Lowell Institute's Alarm Technology at MIT, and holds many manufacturer and trade certifications, including certification from the National Burglar and Fire Alarm Association. and the Fiber Optic Association. Network and A/V contractors, electrical contractors, even locksmiths, etc., usually not licensed for security systems, have very little experience, and are not required to follow the Massachusetts security system background check CORI on their employees. Be aware of highly marketed lightwieght "Do It Yourself" kits and bundle systems from large big brand, on-line, and cable companies. These systems are of rudimentary design, all very similar, may be easily circumvented, and generally have only call center style, or email customer service. They may not meet the Massachusetts definition of an actual security system, therefor may fall outside the requirement for the provider to be licensed. This means that these products likely do not meet applicable state codes and industry standards. Sales people, installers, etc., also may not meet the Massachusetts Office of Public Safety criminal background requirements to install and service security systems. They are proprietary to the individual provider, which means that forever, regardless of any contract, only that provider can service your system. Also proprietary systems generally can not be integrated with anything else beyond the provider's options, which can be very limited. Additionally, the cable bundle system is contingent upon using the same providers internet service. So if you should choose to change the internet provider, your security system will no longer work. These proprietary systems are really throw-away systems, because if you choose to change your service provider, you will likely have to throw away your system and buy all new equipment from scratch. The Massachusetts Attorney General's office has determined the Xfinity® security system, is not a real security system. The Attorney General's words: "the Xfinity® system does not constitute a security system." Though, the Xfinity® Home web page is titled "Xfinity® Home, A total home security solution"
So is it, or isn't it a security system? So is it, or isn't it a security system? After meeting with Xfinity®, prior to litigation on the matter, the Massachusetts Attorney General's office surprisingly announced that the "Xfinity® Home Security System" was not actually a security system. Xfinity®/Comcast® however, continues to call it a security system on their web site, commercials, etc. It's not clear if the Xfinity® "security" system is so significantly inferior that Massachusetts won't even recognize it as a security system, or maybe Xfinity®/Comcast® provided some other reason for the attorney general to interpret what is obviously a security system, as somehow not a security system. What is clear, Xfinity®/Comcast® in reality, is installing a security system that is discordantly defined as "not a security system". This exempts them from the existing state requirements for electrical licenses, and criminal background checks to install "security systems". Electrical licenses and criminal background checks are public safety requirements in place to assure competent non felon professionals on your property, handling your security in compliance with Massachusetts law and codes. If the rules are reasonable for all other companies and contractors in Massachusetts, why the pardon for Xfinity/Comcast®? Security system providers can remotely access your system. They have the ability to arm and disarm your system, watch your cameras, and unlock your electronic door locks without you knowing, even if you change your codes. This is one of the reasons Massachusetts Office of Public Safety requires companies and contractors installing and or maintaining security systems to be licensed and that all employees regardless of duty, have regular criminal background checks. 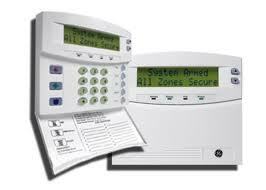 Many companies and contractors that install security systems operate without any trade licenses. Think about it, do you want just anyone to have the ability to access your systems this way? 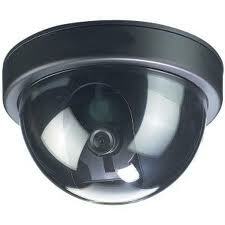 Sales people, installers, customer service, all know about and can access your system, cameras, etc. They learn information about you, your codes, your work schedule, etc., etc., and HAVE ACCESS to your system and sensitive information. We perform criminal background checks on all employees, regularly. See our Industry Licenses page for more information. See more related pages under the Alarm/Security menu below for more details on specific types of security systems and what may be right for your home or business.